Zapier is a service that enables anyone to connect their favorite apps and tools and so they can work together automatically. 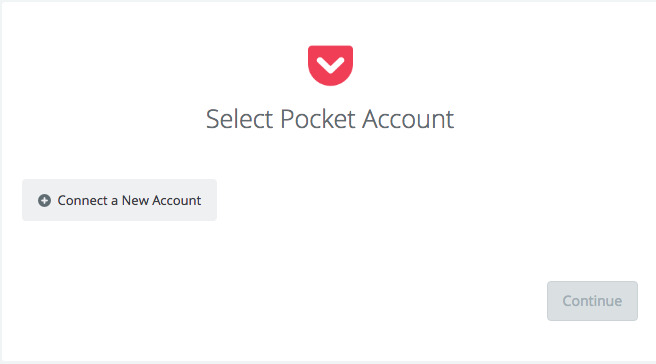 By using Pocket with Zapier, you can connect your account with other services and increase your productivity. For example, you can automatically send items to Trello, Buffer, or Slack when you add a specific tag to them. 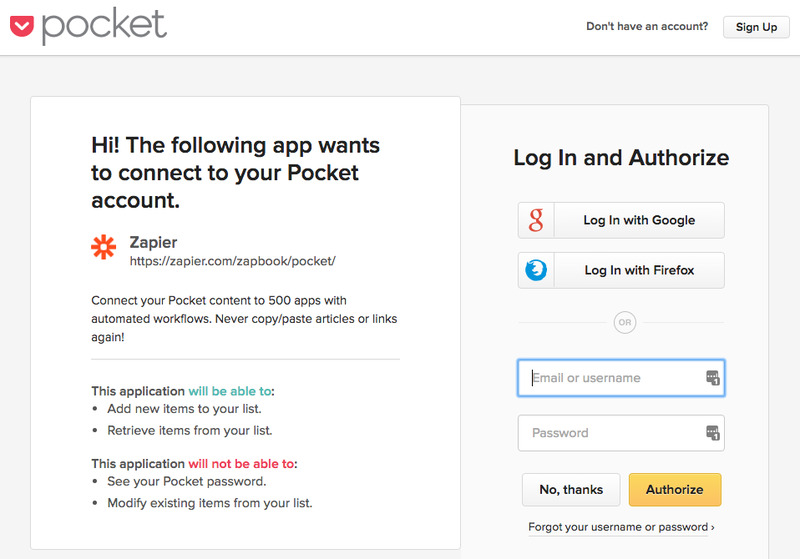 Or, you can connect your favorite RSS feed to Pocket and save new articles that they publish automatically. Each automation (called a Zap) has a Trigger (where your information comes from) that in turn causes an Action in other apps. That’s it! You’re connected and ready to create some Zaps! 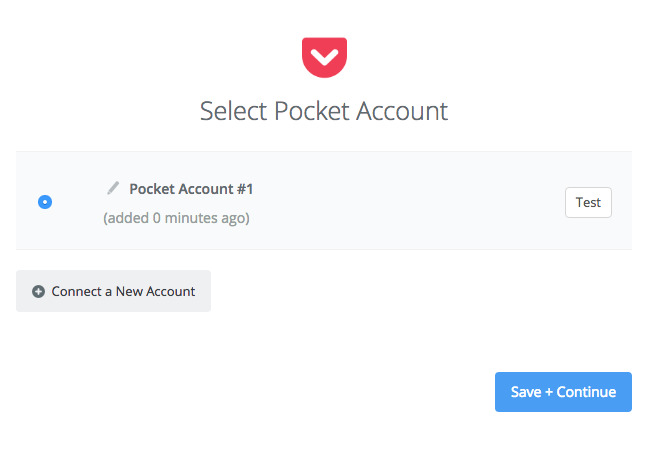 If you need any help using Pocket with Zapier, please reach out to the Zapier team at contact@zapier.com.